Hotchkis Sport Rear Camber Links are perfect for lowered Minis. They have an adjustment range from zero to negative four degrees for increased rear grip. The Sport Rear Camber Links are designed and tested to suit any street or track environment. Each Link is simply adjusted by loosening the lock nuts and then rotating the hex center for more or less camber. 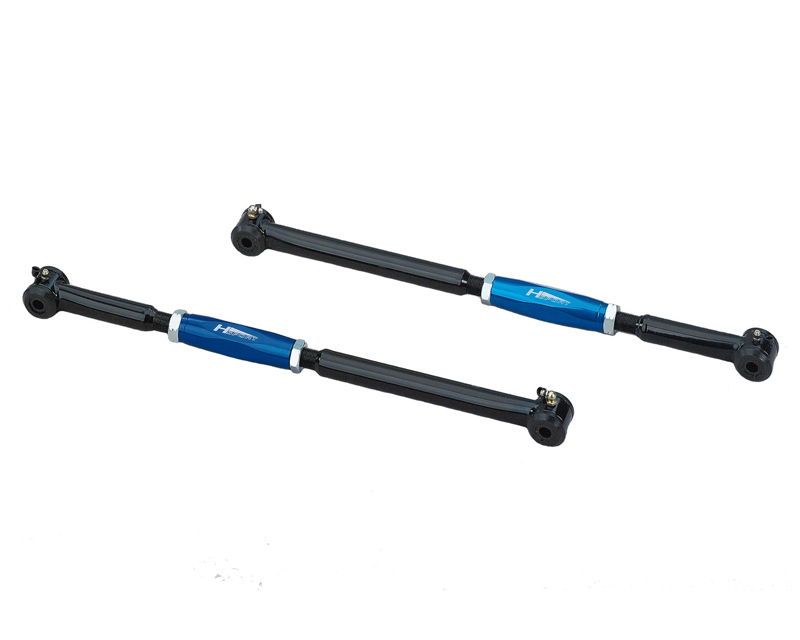 The Hsport Camber Links themselves are made up of two tubular steel outer arms with a billet aluminum hex center. The polyurethane bushings can be greased by utilizing the zerk fittings at each end. Durable, yet highly functional, the Sport Camber Links give you the freedom to set your Mini'_s rear camber at any setting. Price is for one pair of 2 camber links. They have an adjustment range from zero to negative four degrees for increased rear grip.